Has the Greek government swapped €49.4bn during the last two months? 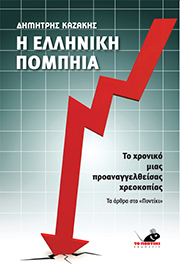 Greek government has swapped €49.4bn during the last two months in order to pay pensions and salaries, according to Petros Miliarakis, member of the Secretariat of European Affairs Department of SYRIZA, in an interview on Friday March 27, 2015 in Crete TV and reporter George Sachinis. These swaps concern parallel transactions that are assigned to preselected hedge funds or banks, with outrageous interest rates, fees above and below the table and physical collateral. 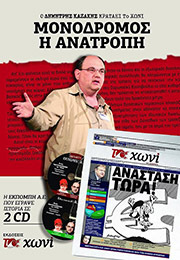 A telling example is the swap Simitis, the ex-Prime Minister had struck with Goldman Sachs. The government must convincingly explain what has happened and reveal all the facts. If not, it is very likely that the swap was not made for salaries and pensions, but because the treasury was looted in order for the creditors to get paid. Note that the swaps are not registered in public debt data, so the government who makes them can hide them at least until they mature. If the Tsipras government indeed struck this deal, it means that near €50 billion of additional hidden debt was automatically added in a country ravaged by lenders. Let alone the fact that such practices are accompanied by suspicious speculatory transactions among politicians and underwriting banks. This entry was posted on Τετάρτη 1 Απρίλιος 2015 at 21:09 and is filed under Ειδήσεις. You can follow any responses to this entry through the RSS 2.0 feed. You can leave a response, or trackback from your own site. One Response to Has the Greek government swapped €49.4bn during the last two months?